Building trust isn’t just giving consumers more science, more research or more information. Our peer-reviewed and published trust model shows it’s about demonstrating that you share their values when it comes to topics they care about most, like safe food, quality nutrition, outstanding animal care and environmental stewardship. 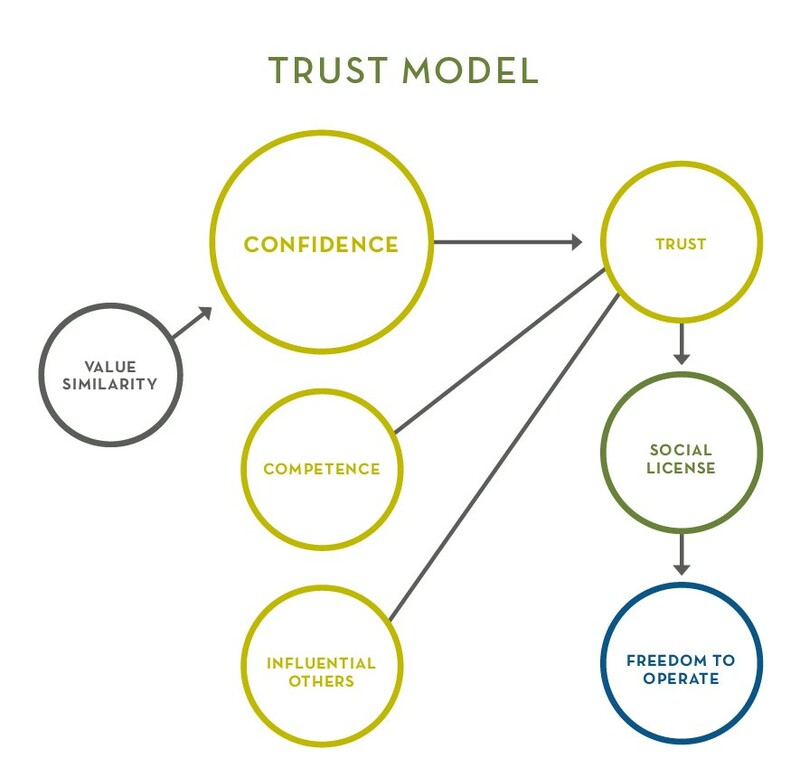 Of the three primary elements that drive trust—Confidence (shared values and ethics), Competence (skills and ability) and Influential others (family, friends and credentialed individuals)—our peer-reviewed and published research shows that Confidence, or shared values, is three-to-five times more important than Competence in building trust. Earning trust is key to the food system maintaining its social license, the privilege of operating with minimal formalized restrictions, and its freedom to operate. It all begins by demonstrating ways in which your values align with those of consumers.